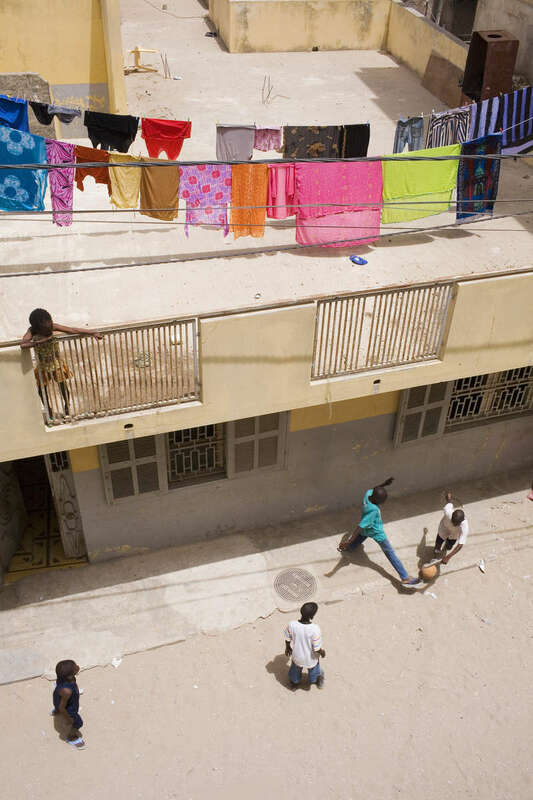 Children play football in the streets of a Dakar suburb. Football in Muslim Senegal is increasingly popular. The national team have reached 26th in the world rankings and produced world class players like Patrick Viera.